The PAWS Clinic offers a package for “community” (stray/feral) cats that live outside full time now, and will be returned to live outside once surgery is completed. The package includes spay or neuter surgery, a rabies vaccine (age appropriate) and injection of ivermectin to kill ear mites, and an eartip. This package is normally $30, but we often have funding available to subsidize this fee. Check our home page to see if there is currently any funding available. 1.Cats must live outdoors full time. This can be any cat that is truly feral (wild, usually unable to be handled), a friendly stray, or a barn cat. Cats that were born outside that are now house cats, or which you plan to bring inside and find a home for, do not qualify for the community cat package. 2. Cats must arrive and depart The PAWS Clinic in a humane live trap (regular cat carriers or anything other than a humane live trap are not acceptable) with only one cat per trap – NO EXCEPTIONS!!! We will not transfer cats from carriers to traps, and we do not permit clients to transfer cats from carriers to traps on our premises, including the parking lot. If you bring a non-feral cat in a live trap without an appointment, the cat will be declined for surgery that day and you will be requested to make an appointment on another day. You may not leave and return with the cat in a live trap that day. 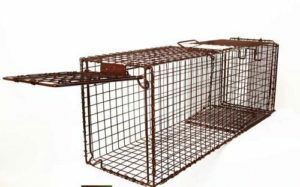 Live traps are available to borrow from The PAWS Clinic for a $60 refundable deposit. The live trap must be big enough so that the cat can comfortably turn around and lie down. Do not leave the trap unattended overnight, ESPECIALLY IN COLD OR INCLEMENT WEATHER. Immediately cover a trapped cat with a sheet or towel and move them to a sheltered area. Leave the cover in place while transport and when you bring the cat into the clinic. This significantly reduces stress on the cat. Do not attempt to transfer a cat from a live trap to a cage or a regular cat carrier. You risk serious injury to yourself and the cat by doing this. If you are not able to immediately bring a trapped cat to The PAWS Clinic, leave her in the trap and cover the trap with a sheet or towel. Move the trap to a quiet place, out of the elements, until the clinic is able to accept the cat for surgery. 3. You may bring up to two cats in separate humane live traps without an appointment any Monday through Wednesday. NOTE: Community cat surgeries are performed Monday through Wednesday ONLY! If you want to bring more than two cats at a time, you must call the clinic at 313-451-8200 to schedule an appointment. 4. Cats will receive a rabies vaccine (age appropriate) and an ear tip – no exceptions!! 5. Cats must arrive at the clinic at 8am. If you cannot be at the clinic by 8am, please do not set a trap! Cats typically are discharged to return home at 7:30am the next morning, although sometimes we have to hold them one more night if we are very full. 6. Plan ahead! Female cats should be kept indoors (in the trap) at least 48 hours post-surgery (until the evening of the day after you pick them up – longer if possible). Males can be release the evening of the day you pick them up.em up. It may appear as though we are trying to be difficult with all of these rules, but they are in place for the safety of the cats, our staff, and you, and to ensure that the community cat package is only being used for cats that are truly outside cats. Below are questions and concerns that we frequently hear from our clients, and an explanation of we enforce our rules. Why can’t I bring the cat in a regular carrier and still get community cat pricing if the cat is going to live outside permanently? Sometimes outdoor cats are friendly with their caregiver, but will not allow anyone else near them. For the safety of everyone involved, including the cat, The PAWS Clinic has to assume that any cat that lives outside permanently is not necessarily a friendly cat. The bars on a live trap allow us to anesthetize the cat before she is handled, so there is no risk of injury to our staff or to the cat. This may not be the case if our staff has to reach into a standard cat carrier and remove a frightened and/or angry cat so that we can anesthetize her. I can handle the cat safely. Why won’t you let me transfer her to a live trap? Even if she is friendly with you in her own environment, the cat is very likely going to be stressed after being placed in a carrier and transported. This can make her dangerous to you, and you risk injury to the cat if she panics during transfer and you have to try to wrestle her into a live trap. We want to ensure that you and the cat are both safe. I brought a cat today in a live trap but she is not going back outdoors. I live nearby and can transfer the cat to a carrier and be back at the clinic within a few minutes. Why won’t you admit her for surgery today? There are a number of reasons for this requirement. First, we want to discourage people transferring cats from carriers to live traps in their car. We have had several instances of people trying to do this, with disastrous results when the cat escapes and runs away, never to be seen again despite our staff’s efforts to re-trap her. Secondly, we routinely schedule 60 animals for surgery each day. We are willing to admit cats who live outside permanently without an appointment, in addition to the 60 scheduled appointments, because we know that it can be difficult to trap feral cats and we want to make our services available whenever they are caught. In order to make our daily workload manageable, we have to restrict that courtesy to only cats that live outside. In addition, community cats recover in their traps after surgery, but house cats reside in one our kennels before and after surgery. Since house cats are presumably friendly, and so can be brought in any time, we require an appointment so that we can assure that we have kennel space available for them. Why does this package just apply to cats that live outside full time? I’m being a good person by taking in a stray cat and keeping it or finding a home for it. Can’t you help me out with the cost? The PAWS Clinic believes that every companion animal should be spayed or neutered for its own health and to reduce animal overpopulation and the resultant euthanasia of healthy animals. We work very hard to keep our fees low to make our services affordable to everyone. We are mission driven, and not trying to make a profit. However, we still have to pay for our facilities, medical supplies, and staff salaries. Please understand: We lose almost $23 on every community cat surgery package. We are willing to do this because we strongly believe that a major part of controlling animal overpopulation is preventing outside cats from freely reproducing. $23 may not sound like a lot, but multiplied by the thousands of feral cats we sterilize each year, it adds up to a lot of money, and we don’t want to have to increase our prices across the board to cover this loss. We hope that everyone will be honest with us about where the cat will live after surgery so that we can keep all of our fees affordable. Additionally, the organizations that generously provide financial subsidies for community cats require that the funds they provide are only used for cats that live outside permanently. We run the risk of losing this funding if we allow the funds they provide to be used for anything but cats that live outside permanently. Since these organizations routinely pay anywhere from $10 to 100% of the cost of feral cat surgeries, it is very important that we follow their rules.